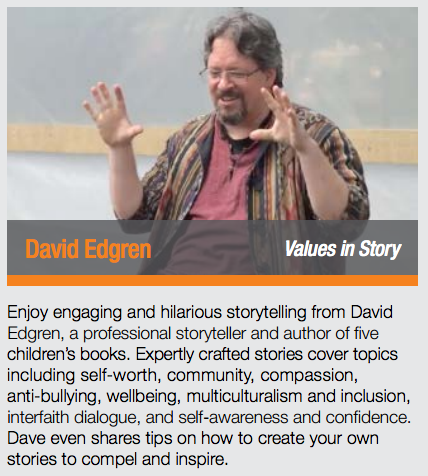 Dave Edgren is passionate about creating a values-based storytelling culture. In his engaging and often hilarious way, Dave’s commitment to literacy and learning combine to provide him as story: teller, author and trainer. 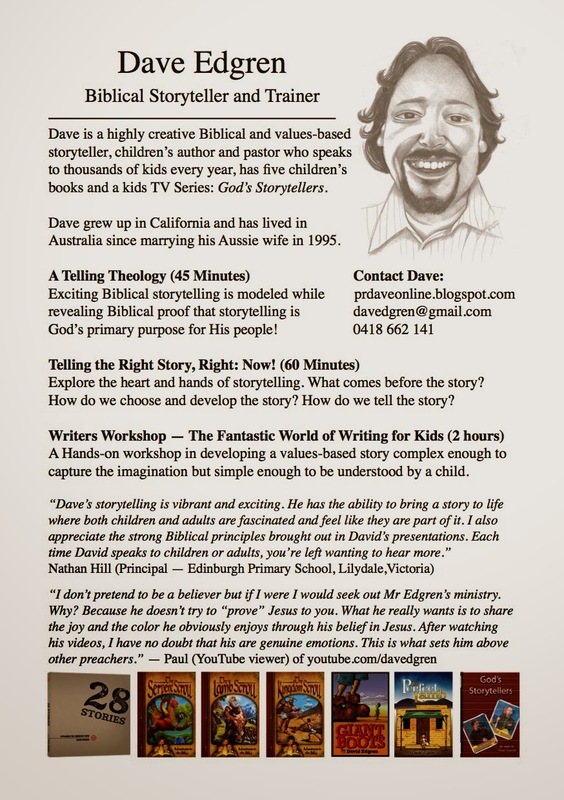 Originally from California, Dave has been entertaining, inspiring and educating children for more than 20 years. 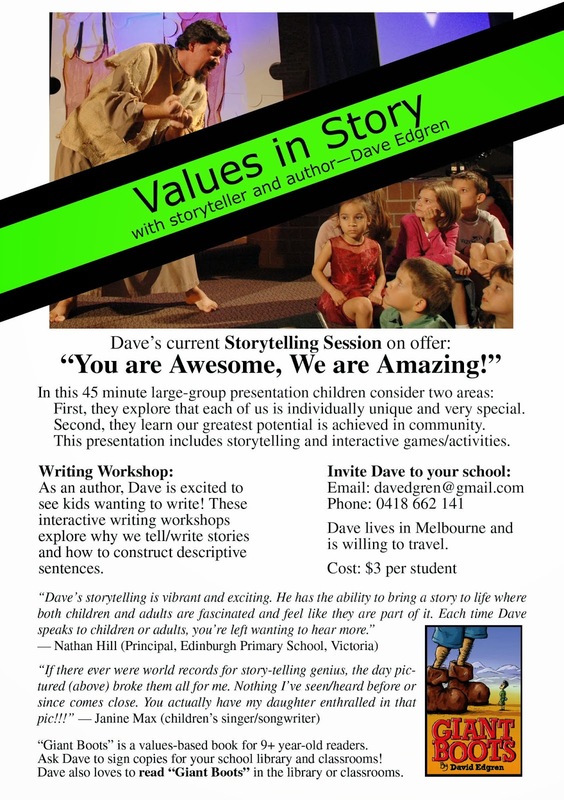 Having written 5 children’s books and crafted dozens of stories for performance, Dave’s storytelling is professional and intentional. 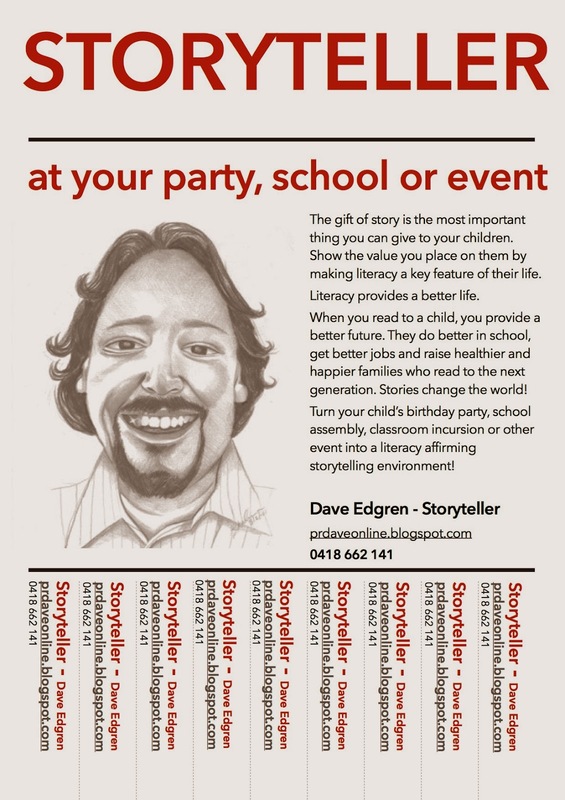 Dave also speaks regularly to teachers and parents about his love for story and inspires them to use story as a regular teaching tool at home and in the classroom. 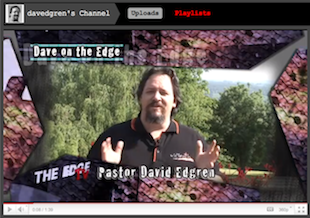 Dave is a visitor you will want to invite back until he’s a permanent part of your story! We are wired for story. We remember stories. We retell stories. We learn best from stories. Stories are why we are who we are. Storytelling is uniquely human! I tell stories at every opportunity I get. At Christian schools, I tell Bible and faith-based stories. At public schools, I tell values-based stories. I tell stories to people of all ages at summer camps, churches, youth meetings, camp meetings and more. I also run storytelling workshops. Most people don't realise they are already a storyteller. Storytelling is easy and great fun! Why not INVITE ME to come tell stories to your crowd or run a storytelling workshop? I'd love to join you! The Hope Chanel came to Australia to film local content. The Union President asked me to prepare a 12 episode series of storytelling for Children. I asked storyteller and magician Brian Boyland to give me a hand and we put together a winner! The entire series is available from me on DVD. Here are ten of my stories from the series. Week of Prayer: "I Want to See Jesus" - I often get to visit Christian schools for a week, telling stories every day. I love these opportunities to develop and build upon a theme. Harmony Day - A story-set for public schools about unity in diversity and non-bullying. Interruptability - A story-set about "STOP. LISTEN. HELP." Two stories about Jesus. Jesus loves Children - VIDEO - Telling a story in a Pakistan Orphanage - on Skype! Why I don't do drugs! - This is my personal story of the impact drugs has had on my family. Telling in the Park - A trip to Echuca turns into a community storytelling opportunity. Collection of Eight Books - Read by Dave. Watch and choose a favourite! Puff the Magic Dragon - Classic Peter, Paul and Mary song presented as a children's book. The Hungry Caterpillar - My wife made a caterpillar and 5 fruits to use in sharing this book. Storytelling Session - The Yarra Ranges Council runs a Children's Week each year. I started writing books when I worked at Signs Publishing Company (2006-2009) as a magazine editor. I was telling stories at lots of camp meetings, churches and schools and was constantly being asked, "Do you have your stories written down? I'd love to read them to my children." So, I decided to give it a go. The Serpent Scroll was a test case. I wrote it, shared it with people and sent it to the various Adventist publishing houses around the world. People loved it, but the only word I got back from publishers was "no thanks" until a year later, Pacific Press Publishing Company decided to publish it and asked me for two more. So, over the next two years I wrote The Lamb Scroll and The Kingdom Scroll. This Adventures in the Bible series is to kids what 28 Stories is to youth - A way to study the Bible that works. 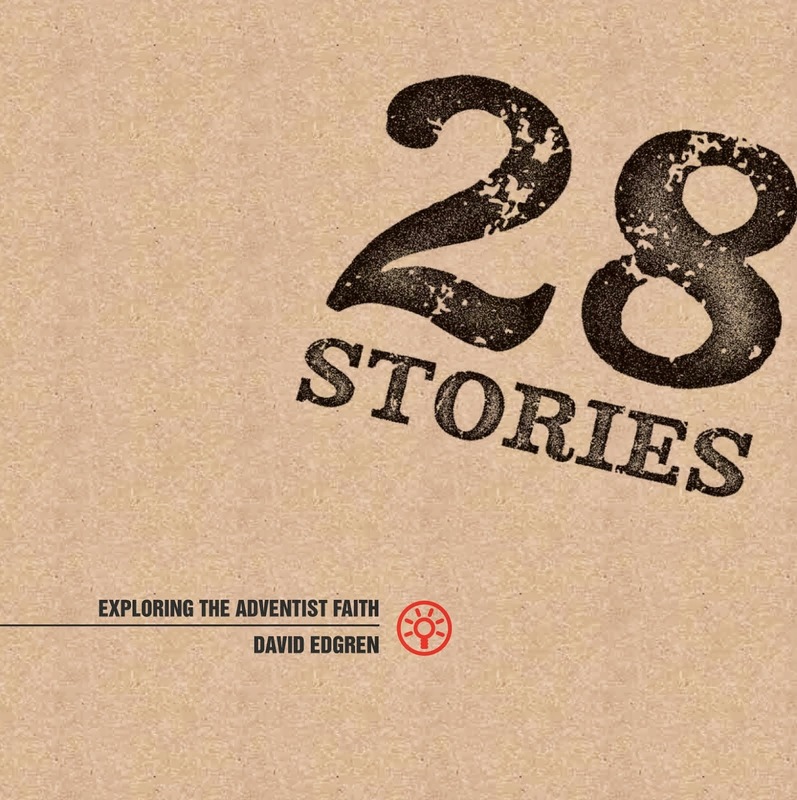 28 Stories is a Bible discussion and journalling guide for youth. In wanting to study the Bible with my son for Baptism, I could find nothing that was open and dialogue driven enough to allow him to express his faith as we studied together. So, I wrote 28 Stories. The 28 Fundamentals are dealt with through story, personal reflection, personal application and Bible Study. Lots of people love 28 Stories! The Perfect Lamb was originally a narrative easter sermon I preached at Avondale College when I was a student there. 10 years after preaching it the first time (and a few times inbetween) I decided to write it as a Children's book. The Perfect Lamb is a great way to introduce children and families to the emotive meaning of Jesus on the cross. Giant Boots was a story I made up one morning to tell (just for fun!) to the classmates of my two sons. They had invited me to their classes to tell a story and I wanted something that taught the same value as a recent performance my youngest son and I had done the previous weekend. Mikey and I sang the song in each class and then I told the story of Giant Boots. It was a hit and so I wrote it! The NEW Church was my core message when I pastored churches, taught Sabbath School principles or spoke to youth. Nearly everything at church fits in the three categories of Nurture, Evangelism or Worship. The NEW Church is just a simple way to ask yourself, "Am I being an effective Christian today?" The NEW Church is for youth and adults. The Seventh-day Adventist Church General Conference's Center for Secular and Post-Modern Studies invited me to Georgia to film this workshop. It is available online, free to use. Please use it to run workshops in your church! Each topic is in two sections. First there is 10 minutes of story. Then 10 minutes of theory. Use the PLAYLIST dropdown menu in the video above to choose one of the topics. To fully understand the Story Seat (my story-building and storytelling model) watch them all in order. The Bookaburra Project is a early-years literacy initiative in the Yarra Ranges Council where I live. I am on the leadership/training team and am one of their regular Volunteer storytellers. Reading to Children is more important than we can ever quantify. It shapes the world, one story at a time! Bookaburra Storytime - Helping volunteers have the skills and confidence to read to children. The Bookaburra Blog - What's happening now in the Yarra Ranges Shire Storytelling Project. This is a presentation that I gave to the Adventist Youth Directors of Australia. It explains the power of story in transitioning from one faith stage to the next. It also explains the focus of my ministry. God's Storytellers - Your call (and mine!) to being a storyteller of God's Epic Narrative. This was a formational moment in my life when I realised the powerful reason why prophecy (and the majority of the Bible) is presented in story form. A Story Like Jesus An indepth look at the power of story and call to tell! I preach this as a sermon. The editors at "The Journal" wanted a shorter version, so I rewrote it as two articles. Good Soil Storytelling Part 1 - Why Children get the Kingdom. How to Bring the Bible to life. Believing Grown-ups Part 2 - Getting truth into adults. How story get's through. Six Stories of Influence - Notes from book "Whoever Tells the Best Story Wins"
Good/Bad Storytelling - Christian Comedian Ken Davis tells a story - let's think about it! The Big Question - A Conversation with a local reporter clarifies how the Bible speaks thru story. A Story Like Tory - Parenting is all about the story we live and the stories we tell to our children.